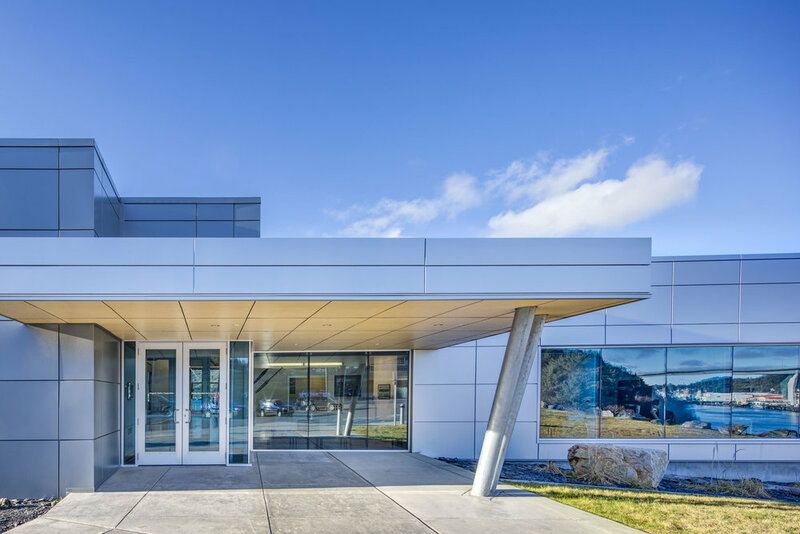 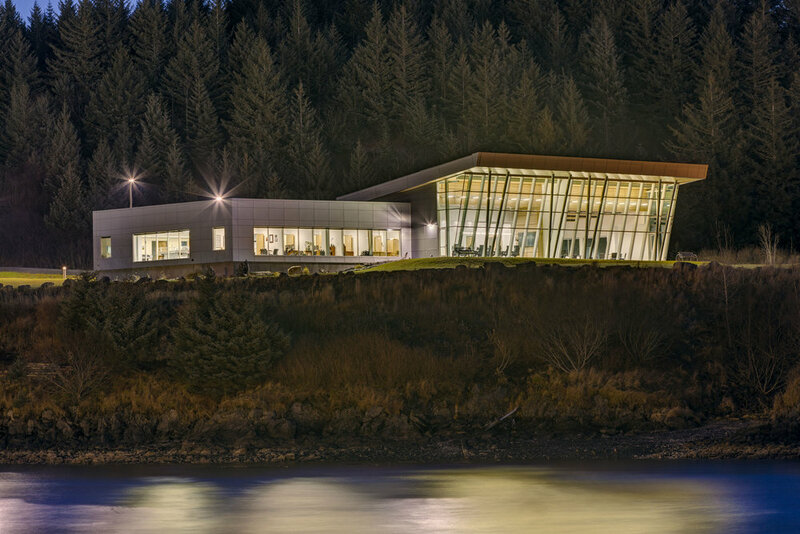 The goal for this project was to create a new home for Afognak Native Corporation headquarters in Kodiak as well to provide a place for shareholders to gather in a spectacular setting that accommodates their large shareholder meetings and potentially allows a source of event rental income for the Kodiak community which lacks adequate conferencing facilities. 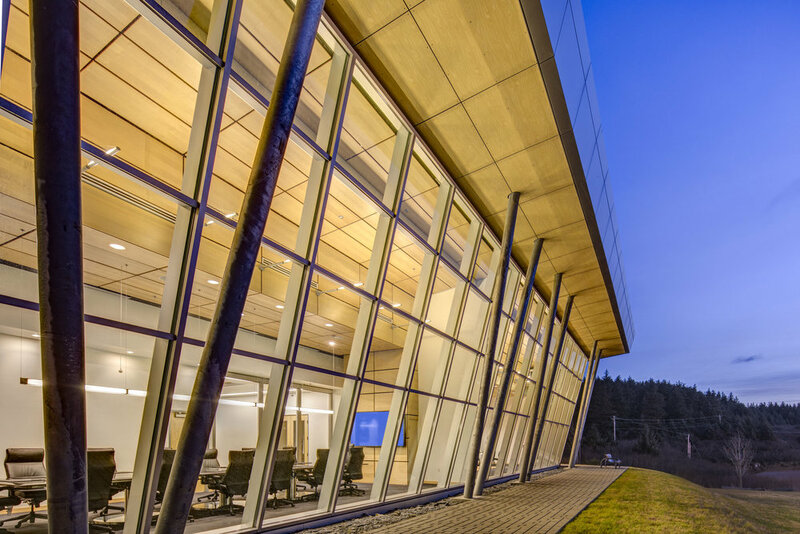 The shareholder space held a high priority for all who participated in the planning of this project. 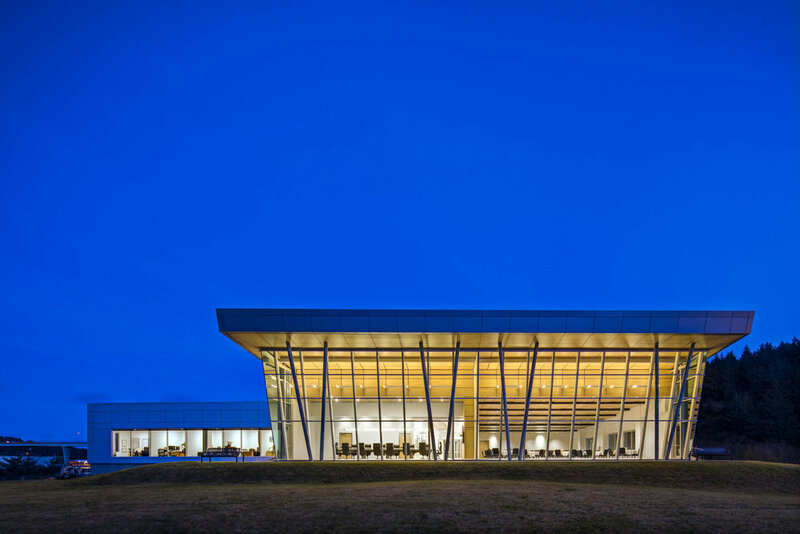 The inspiration for the building form resulted from the maritime nature of this location; roof elements that shelter the building similar to the protective cab of a boat and when up-lit, will act as a beacon on misty days, masts that support the sloped roof elements project above their form into the sky, and a building set above the site as a dock above the water. 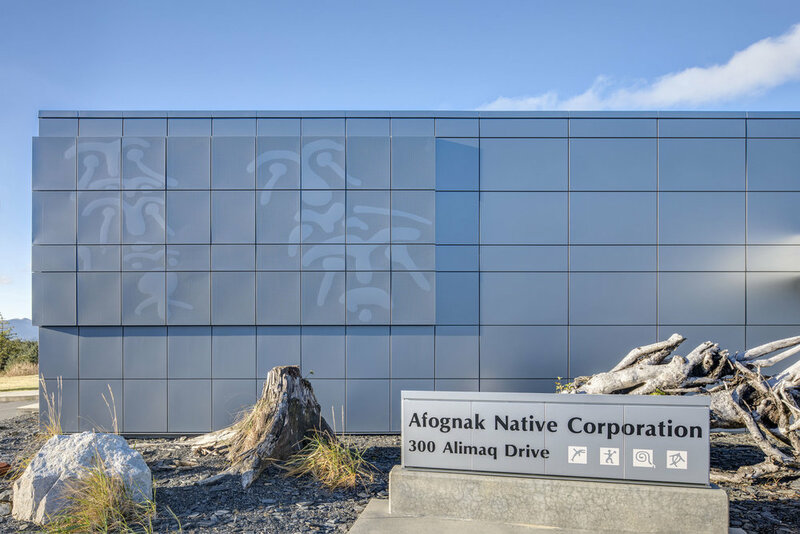 Interior materials were inspired by a visit to Afognak Island where subdued palettes are punctuated with the bright colors of seasonal flora, where the building materials of the past have the potential to live on in the interior finishes of this building and where the culture of the Alutiiq people can be celebrated as a community and passed from generation to generation.